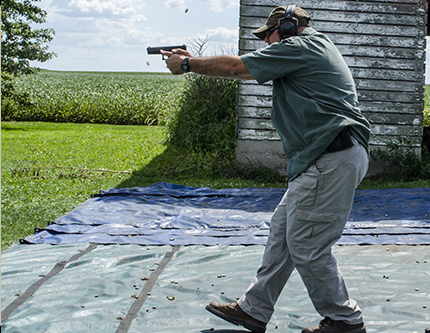 This is 1-day firearms training course focusing on developing the combat mindset and aggressive gun-handling skills. Students will learn the concepts of dominating the weapon, threat, and keeping a visual on all areas while moving off the line of force. Students will be introduced to the concepts of ammunition management and reloading techniques, Malfunction clarence drills, and Combat gun handling skills. In this course students will develop reflexive skills that will enable them to quickly and efficiently engage threats while performing multiple tasks.